When good friends have a baby it is a blessing and worthy of something special. 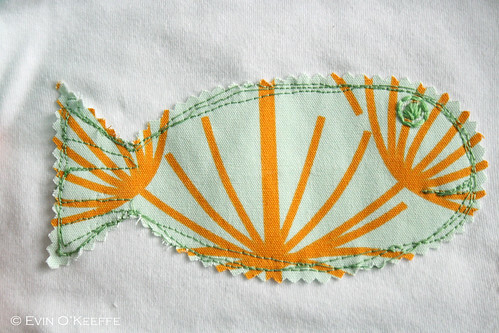 To celebrate my friends’ son’s arrival in the world, I made Toby a fish-themed rustic appliqué baby set, including a Glub Glub Grub Bib, an Appliqued Fish Onesie – and the result is darling! And you know how I love fish, like really in love. 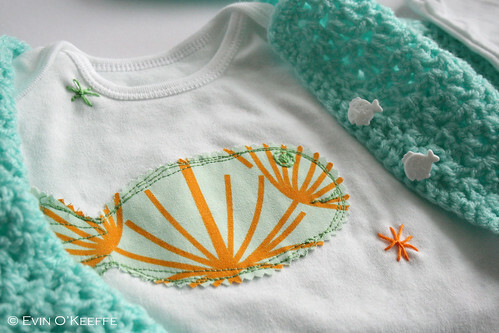 The onesie has one large fish using IKEA fabric that I pre-shrunk with two little stars embroidered for a splash of color. 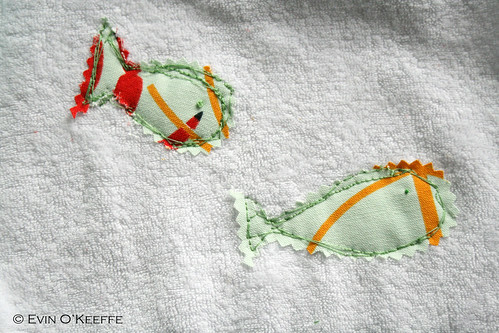 The bib is reversible with appliqued fish on one side and the stitching showing an outline of the fish on the reverse. 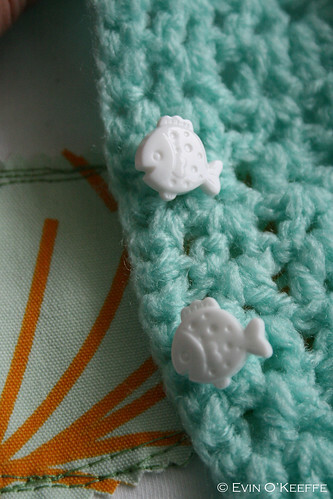 Melissa crocheted the cardigan and hat and I added fish buttons for the sweater to go with the fishy theme. The buttons are from Cork Button Factory. 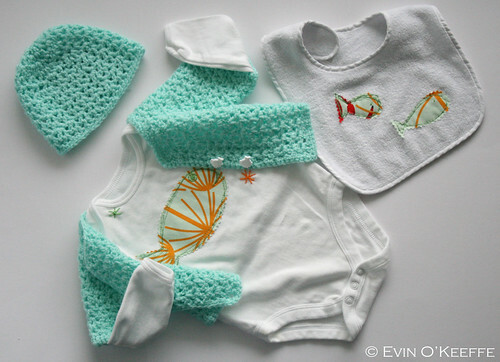 Here is the entire set looking bright and cheerful. 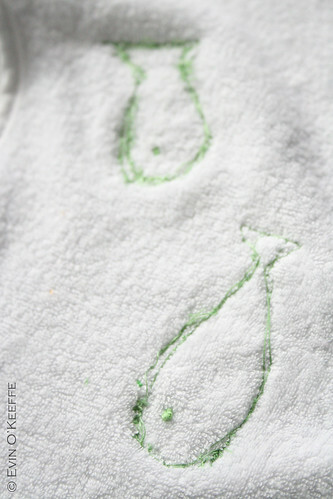 This entry was posted in Sewing | Embroidery and tagged crafts, Knitting, sewing, upcycling.